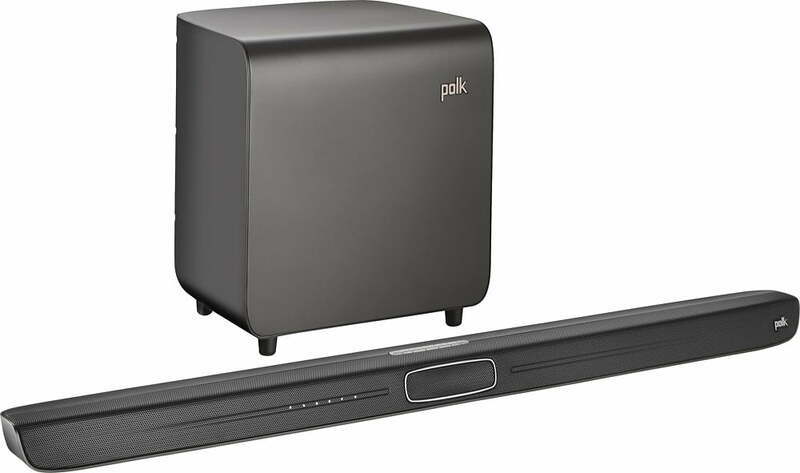 Experience immersive home theater audio with this Polk Audio MagniFi Soundbar speaker system that features a 7″ wireless subwoofer for booming lows. 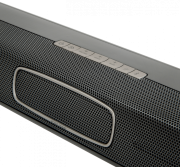 Bluetooth technology lets you stream music from your Bluetooth-enabled device (not included). See how a single word can change everything with the Polk Audio MagniFi Soundbar. Designed for larger flat panel TVs, this next- gen sound bar and wireless subwoofer system features patent-pending VoiceAdjust™ technology that enhances dialogue with crisp center channel clarity, regardless of where you’re sitting in the room. 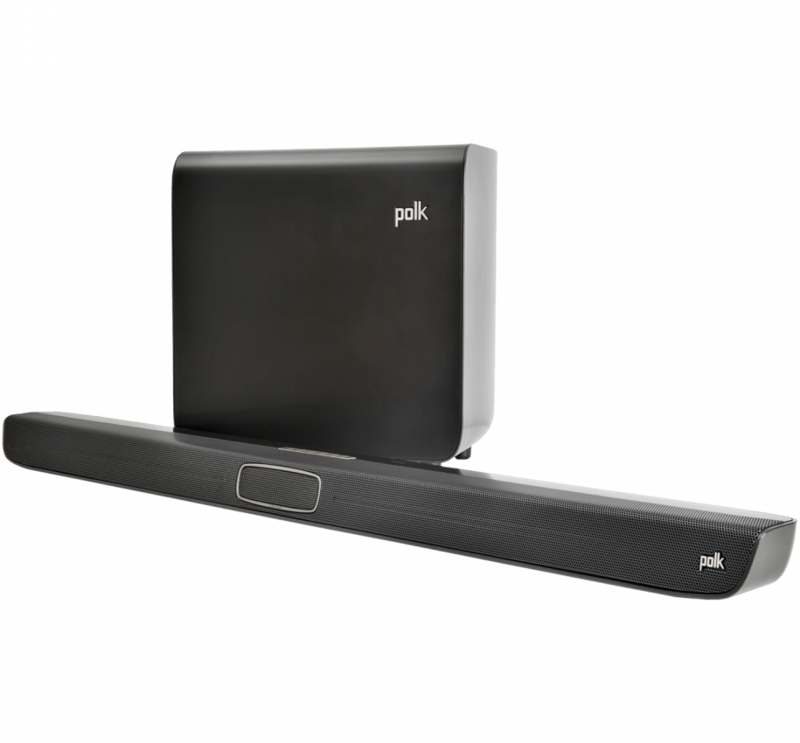 Enjoy all the subtle nuances of your favorite TV shows, movies, sports and music like never before with legendary Polk Audio sound quality now in sleek sound bar form. Patent-pending VoiceAdjust technology uses adjustable 3-element line arrays to produce crisp, clean dialogue, whether you’re sitting directly in front of your TV or off to the side. 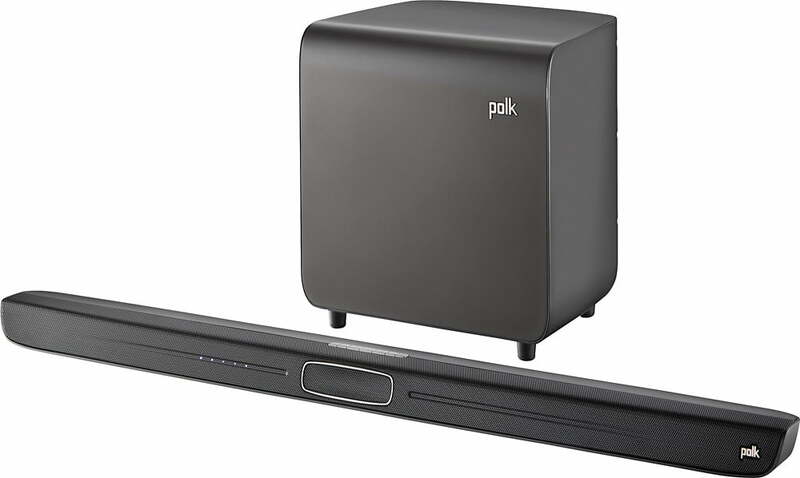 Polk Audio MagniFi Soundbar lets you stream all of your favorite music, movies and more wirelessly from your smartphone, tablet or other compatible device. 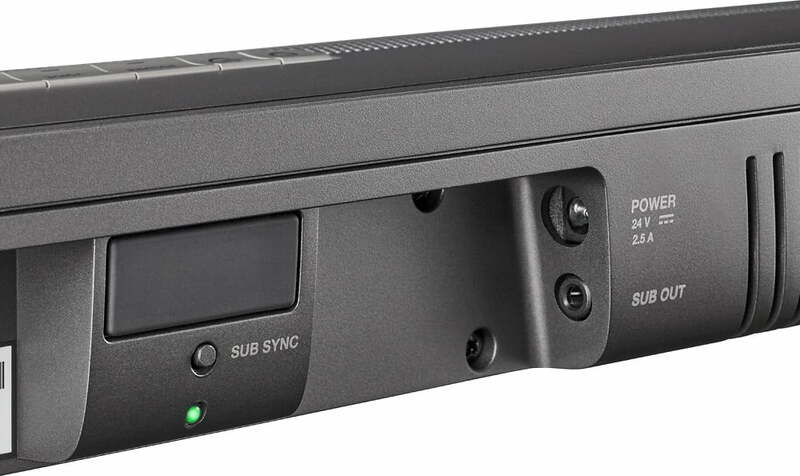 Exclusive Full Complement Bass Drive Technology improves lower midrange, upper bass tonal richness, transient response speed and overall output capability. 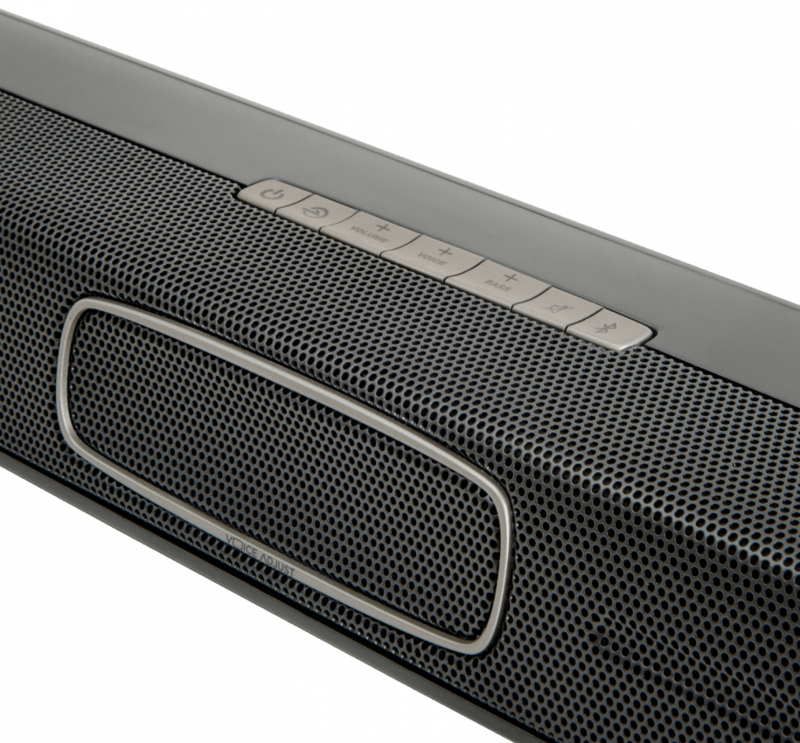 Dolby Digital 5.1 and 2.0 decoding, plus Music and Movie Immersion Modes, deliver a captivating surround sound listening experience. 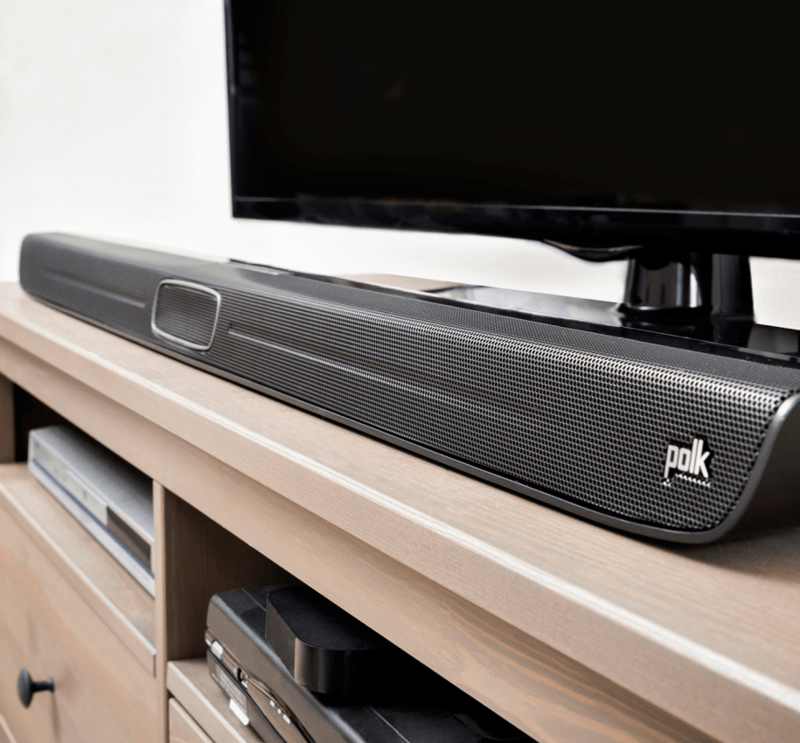 Polk Audio MagniFi Soundbar has a Built-in Critically Tuned Ports that provide flawless blending between mid-range and low frequencies, while Bass Control lets you make adjustments to find the perfect subwoofer position. 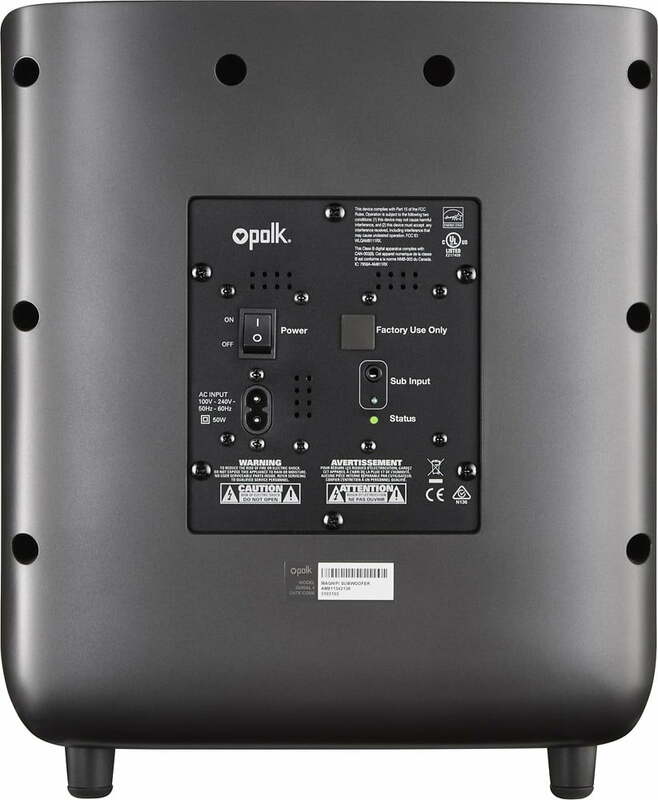 300W maximum system powerProvides detailed, room-filling sound for your favorite movies, shows, games and music. Wireless active subwoofer with a 7″ down-firing driverOffers a compact design that fits any decor, yet is powerful enough to deliver deep heart pounding bass. 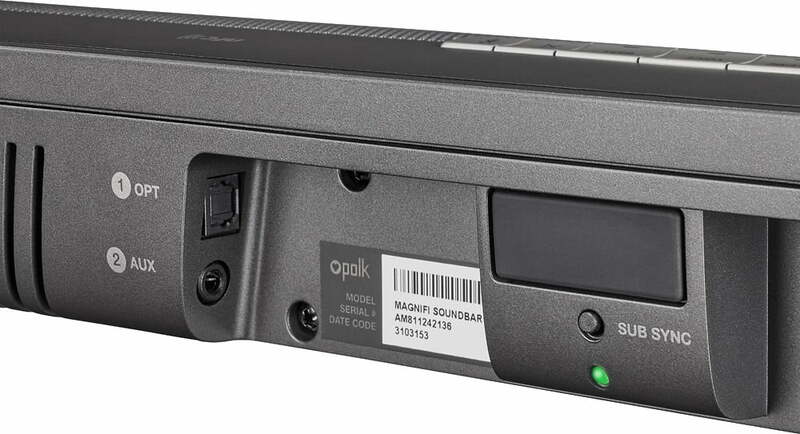 Wireless convenience simplifies setup and allows placement anywhere in the room. Dolby Digital SurroundReproduces multichannel audio to deliver a cinematic audio experience. Universal compatibilityWith an included optical cable for connection to your TV. Ultralow 2″ height ensures clear access to your TV’s bottom edge or IR sensor when placed on a table or shelf, and built-in keyhole slots make wall-mounting easy. 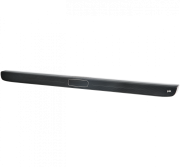 SmartBar Remote TechnologyEnables MagniFi to learn your TV’s or cable box’s original IR remote control, so can control both the soundbar and your TV from a single remote. Credit card-size remote included. 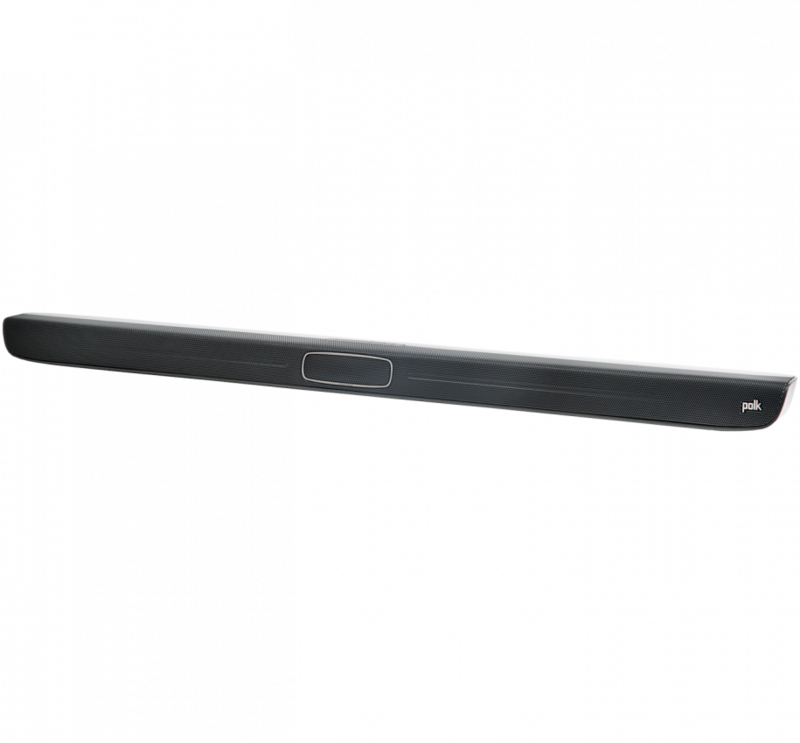 VoiceAdjust Center Channel technologyCreates clear, crisp audio, whether you’re sitting in front of the television or off to the side. Digital Signal ProcessingCreates dedicated music and movie modes to tailor the sound for a more immersive listening experience. Full Complement Bass Drive TechnologyDelivers tonal richness and fast transient response in lower midrange and upper bass tones. Bluetooth technologyLets you easily enjoy tracks stored on a compatible Bluetooth-enabled phones, tablets and other devices (not included). InputsInclude 1 optical digital and 1 AUX (3.5mm) audio.